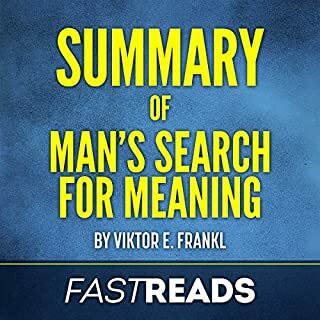 Viktor Frankl's memoir, Man's Search for Meaning is about so much more than one man's experiences in a concentration camp. As a book about the Holocaust, it helps to shed light on the day-to-day struggles that inmates faced physically, psychologically, and socially. But it also reaches far beyond camp life and into the meaning of life itself. 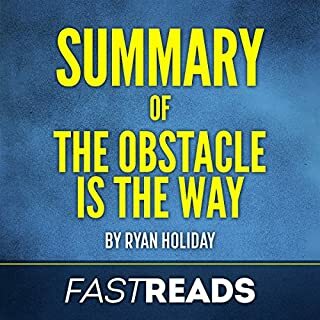 The Obstacle is the Way is an excellent self-help audiobook that showcases numerous instances of great people who created history. It is inspiring and motivational, to say the least. Primarily, this audiobook offers advice to turn any obstacle into an advantage. Holiday stresses on the fact that we invite problems mostly because of our perceptions. In this audiobook he deftly shows the listener how to solve almost any issue by altering your perspective. Annie Brock and Heather Hundley take the core concept of employing the growth mindset (first popularized by Carol Dweck) and apply it to teaching in a practical, methodical, and easy to access manner in their audiobook, The Growth Mindset Coach. 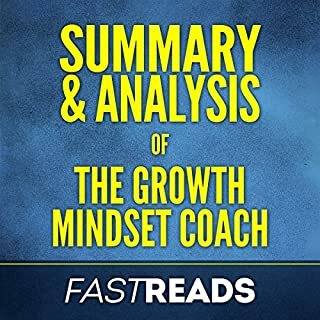 This FastReads summary and analysis offers supplementary material to The Growth Mindset Coach to help you distill the key takeaways, review the book's content, and further understand the writing style and overall themes. Disclaimer: This is NOT the original book. 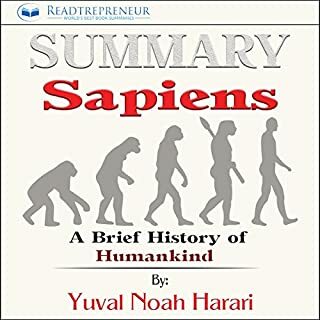 This is a book summary of Sapiens: A Brief History of Humankind by Yuval Noah Harari. Dr. Steven Gundry presents one of the most radical diets to date in his revolutionary book The Plant Paradox. This FastReads Summary & Analysis will help you learn the basic tenets of the science behind this ground-breaking diet. 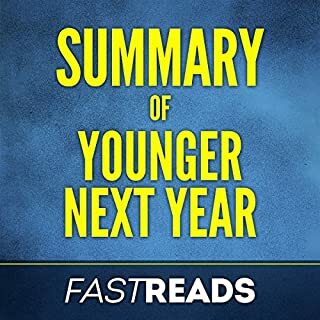 This FastReads summary and analysis offers supplementary material to Younger Next Year to help you distill the key takeaways, review the book's content, and further understand the book from an editorial perspective. Whether you'd like to enrich your understanding, refresh your memory, or simply decide whether or not this book is for you, FastReads summary and analysis is here to help. This summarizes how Crowley and Lodge offer a practical guide anyone can use to stay fit and strong, navigate the uncertain road of retirement, and age with grace. This FastReads summary offers supplementary material to The Warmth of Other Suns to help you distill the key takeaways, review the book's content, and further understand the writing style and overall themes from an editorial perspective. Whether you'd like to deepen your understanding, refresh your memory, or simply decide whether or not this book is for you, FastReads is here to help. Absorb everything you need to know quickly! Don't miss out on the blunt and straightforward wisdom of Mark Manson's best-selling book, The Subtle Art of Not Giving a F--k. Purchase your copy of FastReads' summary with analysis and key takeaways today. Quickly find out the changes you need to make to replace your negative feelings with positive ones. Please note: This is a summary, analysis, and review of the book and not the original book. In his acclaimed memoir, 10% Happier, Dan Harris recounts the events leading to his televised panic attack and the series of events that followed — involving evangelicals, self-help gurus, Buddhists and neuroscientists — on his accidental quest to find himself. This FastReads Summary & Analysis offers supplementary material to 10% Happier to help you distill the key takeaways, review the book's content, and further understand the writing style and overall themes from an editorial perspective. Whether you'd like to deepen your understanding, refresh your memory, or simply decide whether or not this book is for you, FastReads Summary & Analysis is here to help. Absorb everything you need to know in under 20 minutes! 10 percent will do it. Dr. Bessel van der Kolk explores the often elusive topic of trauma, PTSD, and recovery in his well-researched and supported book, The Body Keeps the Score. In his book, he offers tested methods for treatment along with cutting-edge therapies. This FastReads Summary & Analysis offers supplementary material to help you distill the key takeaways, review the book's content, and further understand the writing style and overall themes from an editorial perspective. Daniel Kahneman explains the two systems that drive the way we think: System 1 is fast, intuitive, and emotional; System 2 is slower, deliberate, and logical. To help you to deeply understand the original book Thinking, Fast and Slow, this audio summary offers chapter summaries, broken down by subsections; definitions and explanations of the terminology used; and suggested further information of Kahneman's research. Author and worry coach Dr. David Carbonell uses a combination of the evolutional concepts of acceptance and commitment therapy as well as cognitive behavioral therapy to teach you how to get hold of your worry trend by leaning and avoiding the trick that your brain uses to get you worried and anxious. This FastReads Analysis offers supplementary material to The Worry Trick to help you distill the key takeaways, review the book's content, and further understand the writing style. Through extensive, detailed research, Nancy Isenberg has moved the story of American class tensions out from the shadows and given it new voice. This FastReads Summary and Analysis offers supplementary material to White Trash: The 400-Year Untold History of Class in America to help you distill the key takeaways, review the book's content, and further understand the writing style and overall themes from an editorial perspective. Tim Ferriss distills the tools, philosophies, and practices of some of the most successful people in business, entertainment, and athletics to compile one of the most comprehensive and actionable life guides out there. The captivating tales of ballsy first attempts, costly miscalculations, and unlikely triumphs make this book as enjoyable as it is insightful. Ferriss goes over and beyond to vet each of the ideas he writes about, making Tools of Titans the authoritative go-to reference for most of life's pressing concerns. Tools for Titans - useful tips! Don't miss Robert Cialdiani's long anticipated follow-up to his blockbuster book Influence. Robert Cialdiani uses heavily researched data along with relatable situations to show you a new way to influence people before you even open your mouth. The 50 Most Beautiful Love Quotes will give you a positive love vibe no matter what your mood is. Love is a complicated thing and sometimes a good quote can make one understand his or her love situation. I hope you love it! In Wired to Eat Robb Wolf espouses the benefits not only of the Paleo diet, but also of maintaining a healthy life in a much broader sense in his long-awaited sequel to The Paleo Solution. Anthony William, The "Medical Medium" uses his connection to a higher power to provide unprecedented insight into how our diets affect not only our physical health, but our mental, spiritual, and emotional well-being. 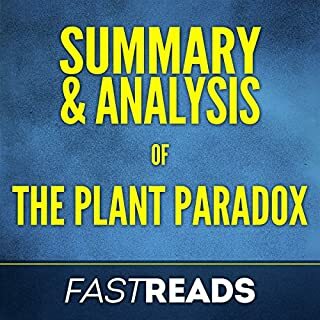 This FastReads Summary & Analysis offers supplementary material to Anthony William's, Medical Medium: Life Changing Foods to help you distill the key takeaways, review the book's content, and further understand the writing style and overall themes from an editorial perspective. Whether you'd like to improve your retention and understanding, refresh your memory, or simply decide whether or not this book is for you, FastReads Summary & Analysis is here to help. Absorb everything you need to know in under 20 minutes! Please note: This is a summary, analysis, and review of Sapiens and not the original book. 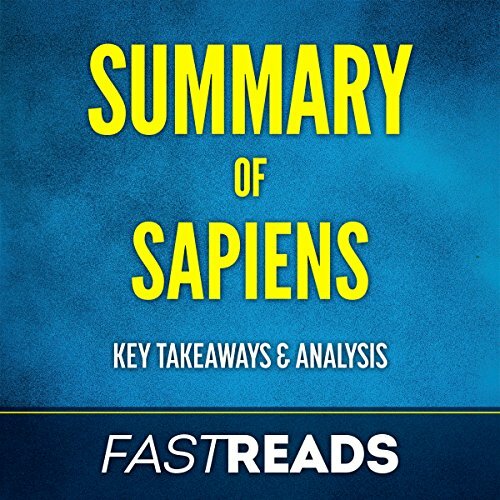 This FastReads summary offers supplementary material to Sapiens to help you distill the key takeaways, review the book's content, and further understand the writing style and overall themes from an editorial perspective. Whether you'd like to deepen your understanding, refresh your memory, or simply decide whether or not this book is for you, FastReads is here to help. Absorb everything you need to know in under 30 minutes! What does this FastReads summary include? Yuval Noah Harari's detailed, precise, and in-depth look at the history of evolution and humanity offers a new perspective on how we came to be the humans and societies that we are today. Following the paths of Homo sapiens from his African beginnings, across oceans and continents, Harari's analysis leaves no stone unturned. Listening to this book will undoubtedly make you see the world we live in in a different light. Analyzing the social constructs that allow humans to organize massive, global societies is a highlight of this ground-breaking book. Before you buy: The purpose of this FastReads summary is to help you decide if it's worth the time, money and effort listening to the original book (if you haven't already). FastReads has pulled out the essence - but only to help you ascertain the value of the book for yourself. This analysis is meant as a supplement to, and not a replacement for, Sapiens.